Shakeology Boost: The Fiber is Beachbodys latest addition to the Shakeology Nutrition and Fitness program. The Fiber is a boost to the shakeology experience, enhancing the nutritional, digestive and health benefits of Shakeology: The Shake. What exactly is this new Shakeology Fiber? Shakeology Boost: The Fiber is an easy to mix powder that provides 7 gr of fiber. The Fiber doesnt have any flavor and its non-granular texture will allow you to mix it into your daily Shakeology shake or any other shake or drink. 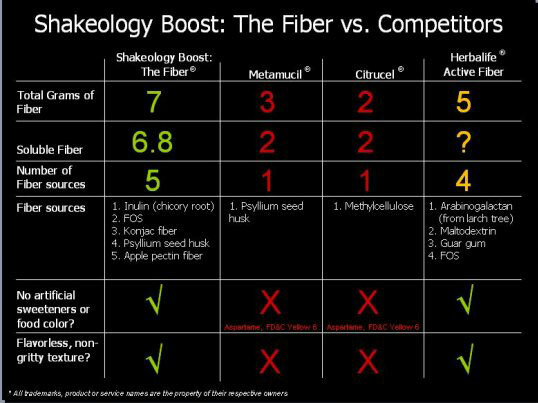 What benefits can you expect from Shakeology Boost: The Fiber? Dietary fiber (soluble and insoluble) is neither digested nor absorbed by the body. Consuming it helps produce a number of beneficial effects, and both types of fiber will help your body in different ways. First of all, one of the key benefits of Shakeology: The Fiber is better intestinal health, which we all know translates into better general well being. Shakeology Boost: The Fiber aids your digestive system, promotes regularity, prevents constipation and helps lower the risk of diverticular disease. Insoluble fiber has the effect of sweeping the intestines clean and stimulates muscular contractions in the intestines. Helps lower your cholesterol: soluble fiber attaches itself to dietary cholesterol and eliminates it from the body as it passes through the intestines, helping to reduce serum cholesterol levels. This aids in the prevention of coronary heart disease and reduces hypertension. Helps regulate blood glucose levels. 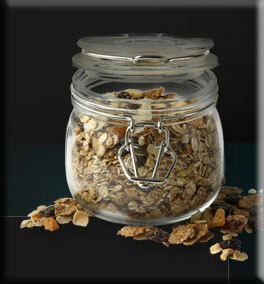 Fiber slows the absorption of glucose, thereby helping to prevent sugar spikes, making you feel full faster and longer. Slowing glucose absorption and preventing insulin spikes in the bloodstream is helpful in reducing the risk of type 2 diabetes, along with lessening the bodys fat-storage response. The Fiber contains additional key ingredients that help in weight management, has prebiotic properties, and also prevents muscle loss and increase immunity. Inulin (from chicory root): helps increase calcium and magnesium absorption while promoting regularity. Fructooligosaccharide (FOS): helps stimulate the supply of good bacteria in the intestinal tract, which increases overall digestive health. FOS is a natural prebiotic sweetener. Konjac fiber: helps maintain weight and regularity. Psyllium seed husk helps prevent dietary cholesterol from being absorbed by the liver and colon. It also helps curb your appetite. Apple fiber helps eliminate toxins from the intestinal tract for better digestion. L-glutamine aids in eliminating toxins in your body and fuels muscles during longer workout sessions. What 's the recommended dosage of Shakeology Fiber? The recommended intake levels of Fiber according to the US government are 25 grams for women 18-50 years old (21g for women over 50) and 38 grams for men (30g for men over 50). According to extensive research, most adults get only 11-13 grams a day of fiber thru their regular eating habits. Supplements fill in gaps in eating habits and Shakeology the Shake and Shakeology Boost: The Fiber is a great alternative to obtain the fiber necessary for good health. Shakeology products are safe and are carefully formulated to provide the balanced amount of nutrients that your body needs for a good health. The best sources are whole grain foods, fresh fruits and vegetables, legumes and nuts. Replace white rice, bread, and pasta with brown rice and whole grain products. Choose whole grain cereals for breakfast.